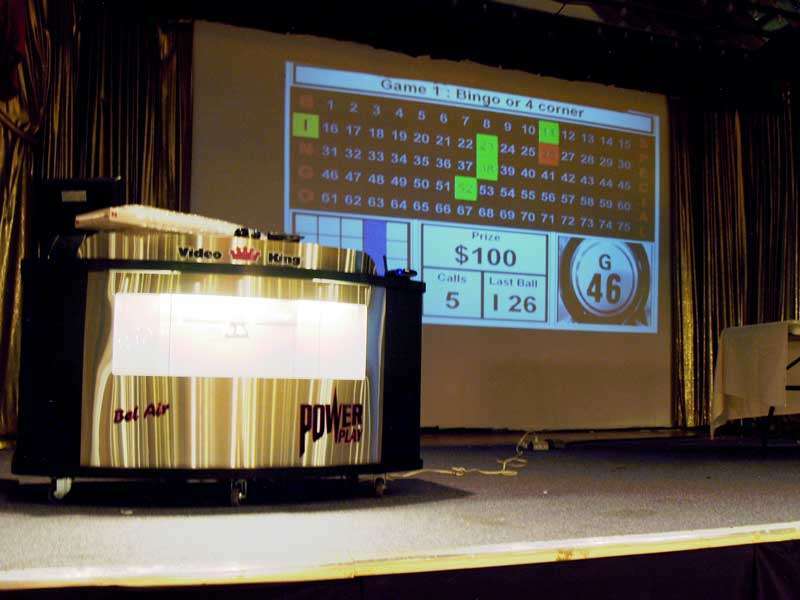 Another picture of our new location featuring a New Bingo Caller’s Table and Screen at Finnigan’s Hall. In addition to our large Bingo Stage Screen. 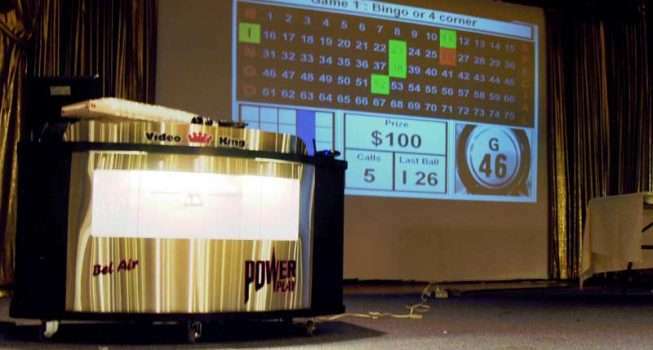 We will have 5 other Screens that will display Bingo Game and Number information.